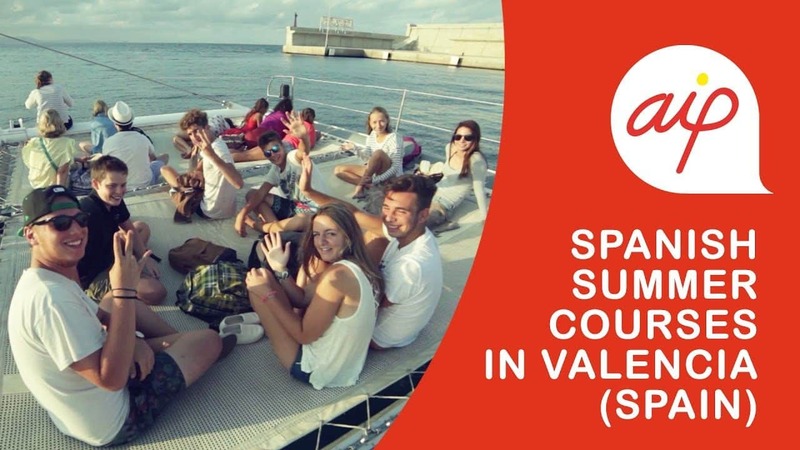 Our Spanish Language Summer school in Spain is ideal for 14 to 18-year-olds, with the perfect combination of fun Spanish lessons and workshops in the morning, and great recreational and cultural activities in the afternoon with participants from all over the world. Summer is the perfect time to switch gears, travel and discover new destinations! And our Junior Summer Program combines language learning with fun and adventure. Valencia is a perfect summer destination: sandy beaches, scrumptious food, safe streets, modern architecture and lots of history. It has everything 14 to 18-year-olds can ask for. In addition, they have the perfect chance to learn such a widely spoken language as Spanish is. Being immersed in a Spanish-speaking city combined with amusing faculty and dynamic Spanish lessons provides the perfect scenario for effective language learning. 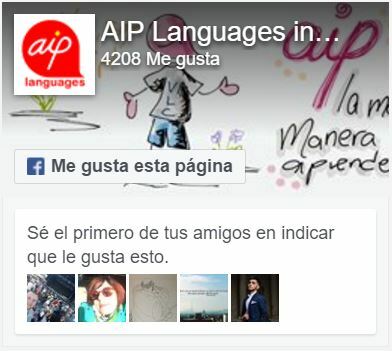 And AIP Language Institute, as an Instituto Cervantes’ Accredited Centre, is a great choice. Then, to fully enjoy the city, participants will stay with a local host family which will provide an even greater immersion experience and an invaluable way to learn more about Spanish culture. Plus, all the families have been collaborating with us for many years, and really know how to make the students feel at home! That’s right! Everything on location is included, from sailing courses, to kayaking in the mountain rivers, amusement parks tickets – including the extraordinary City of Arts and Sciences -, along with great weekend trips to Peñíscola, Calpe and Javea. among many other destinations. In addition, everyone can fully enjoy the beach, as it’s only 10 minutes away from the school by tram. Enrolling their kid in this program has been a wise decision. I would like to say a big THANK YOU to you and AIP school that Kevin has had a fantastic time and in a Spanish speaking environment in Valencia. My husband and I have spoken to Kevin several times, Kevin has mentioned that he will go back next year to AIP! My son, just shy of his 16th Birthday, travelled from the US on his own to AIP. The first time he went overseas on his own but we'd heard so many good things about AIP we were willing to take the risk of flying him all the way to Valencia. He had a great two weeks where he advanced in his Spanish both in the classroom and with his host mum, who spoke very little English. There were many activity options he could choose from plus he had the freedom to explore the city with other AIP attendees when he wanted. He had a great time and got more out of this trip than we expected on both a personal and academic level. We will be sending him back with his brother next year, and for longer! Since 1998, thousands of young participants have been enjoying our Spanish courses at our school. Every year we receive more than 800 junior participants from around the world. 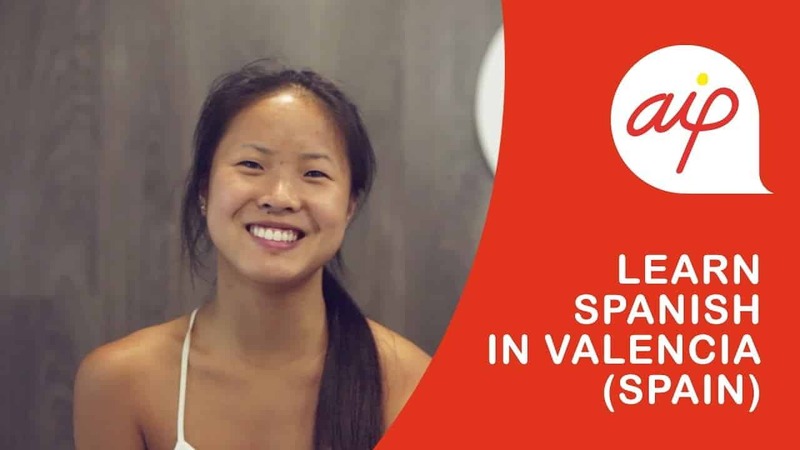 The objective is very clear: help junior students learn Spanish and offer an unforgettable cultural immersion experience in Spain, in our centre accredited by Cervantes Institute. IMPORTANT Participants can extend their stay by attending our Spanish school for adults, only if they are 16 years old or over. Registration deadline: June 25th, 2019. Participants can choose to take part in our Summer Camp in Spain from one to six weeks. 10% discount if you register before February 28th, 2019! From A1 (beginner) to C1 (Advanced). If the student is an absolute beginner, the only possible starting dates are June 30th, July 7th or 21st. Four daily Spanish language and culture lessons (50 minutes each), from Monday to Friday (20 lessons per week). Small groups (maximum 12 students per class). Class materials. Full-board accommodation with a host family (breakfast, lunch and dinner). Daily activities with our culture and leisure program, including day trips during the weekend. A bus/metro 20-ride card recharged every week. Certificate of attendance with Cervantes Institute guarantee. IMPORTANT If a participant attends one of our Spanish courses but doesn’t need accomodation and/or is not interested in taking part in the afternoon/evening activities, he/she should let us know in advance and we will inform about the discounted prices accordingly. 10% discount for former participants or when 3 participants enroll together. If 5 students enroll together, they get 15% off the final price. - Optional Health Insurance – 2 weeks: 30€, additional weeks: 8€/each. 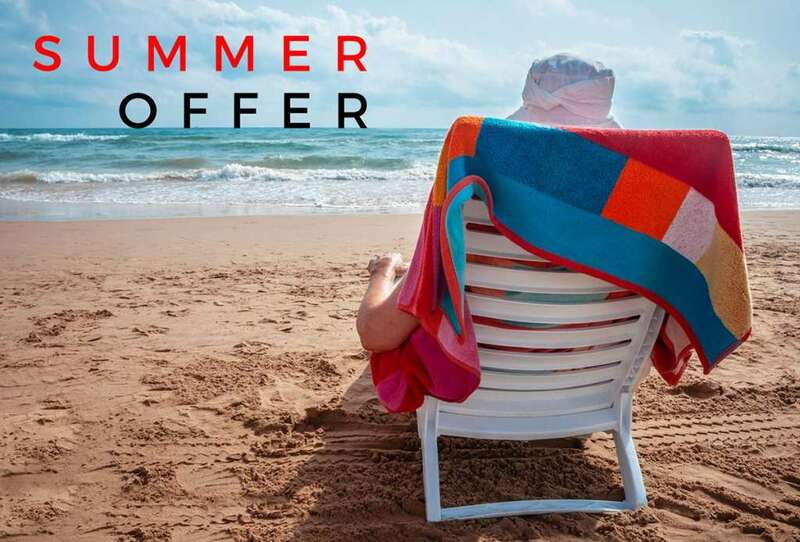 - Extended Stay – 35€ for every additional day staying with a host family with full board. - Individual Bedroom – 5% surcharge over the final price. We suggest reading the REGISTRATION CONDITIONS carefully before registering in this program. In order to book a place in the program, participants need to fill in our Enrolment Form first. Also, participants need to pay 160€ in advance as a deposit, which can be paid via bank transfer, credit card or PayPal. The deposit will then be deducted on the final price of the course, and final payment should be made one month before the beginning of the course, the latest. Sending a payment receipt via email would be much appreciated. Upon deposit payment receipt (160 €), we will send an email confirming admission in the specified program. This is a non-refundable deposit. Participants may cancel their place in the course which will be effective immediately upon receipt email. The total amount refunded will depend on when the course is cancelled. When the course is cancelled at least 25 days before the beginning of the course, 70% of the final price will be refunded. If it is just 14 days before the beginning of the course, 50% of the final price will be refunded. No refund for those cancelling the course less than 2 weeks before arrival. If the chosen payment method is bank transfer, IBAN number will be required. Account name: Advisers for International Programs in Spain, S.L. Name and address of our bank: Banco Popular – Calle El Bachiller, 6, 46010 Valencia. Participant’s name has to be mentioned on all payments. All bank charges are the participant’s responsibility. Has the program met parents' and kid's expectations? 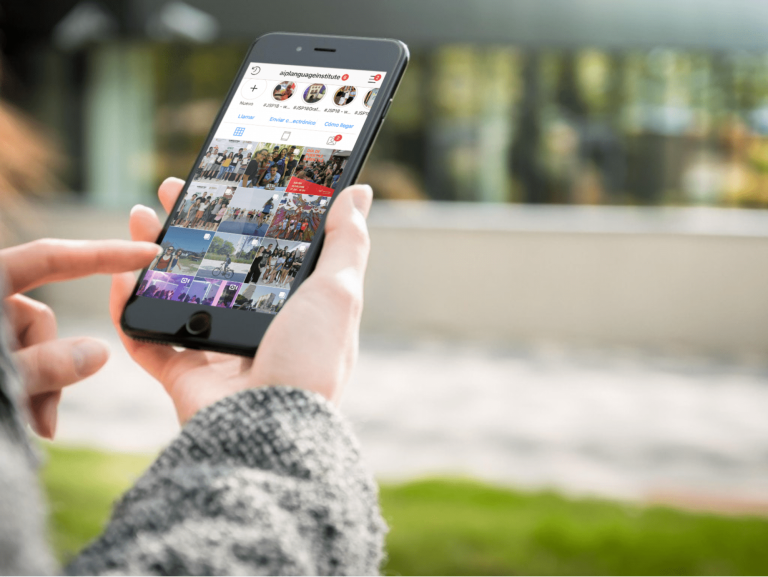 While we prepare our 2019 Activities Program, take a look at our Instagram feed and see what happens at our school. Note This is not the definitive activities program for this year’s summer program, it works as guidance material based on the activities we offered last summer. The final program will be included in the ‘Parents’ and Students’ Guide for AIP’s Summer Program’.